Earthy color palette of pale yellow (not quite as bright as it shows in the photos), dusty ruby, and muted turquoise. 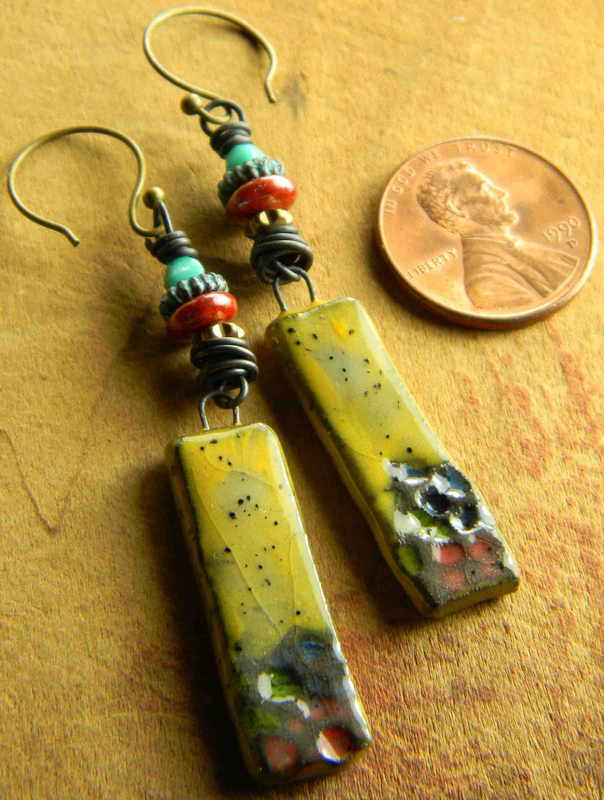 I find my treasures all over the world, and these lovely ceramic stick shaped drops are from the talented artisans of Sand Ceramic Beads in Germany. 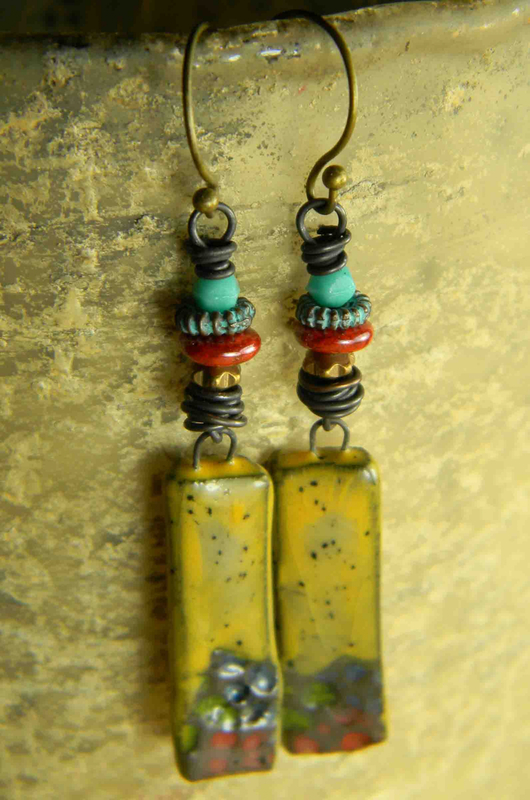 I have used oxidized copper wire to connect a stack of complementing beads to the drops; discs and rounds of muted dark red and turquoise, with accents of Mykonos verdigris spacers and solid brass cogs. The ear wires are a downsized round shape in antiqued brass, for a total length of 2.3 inches, .3 inches at their widest point and really very light weight to wear. 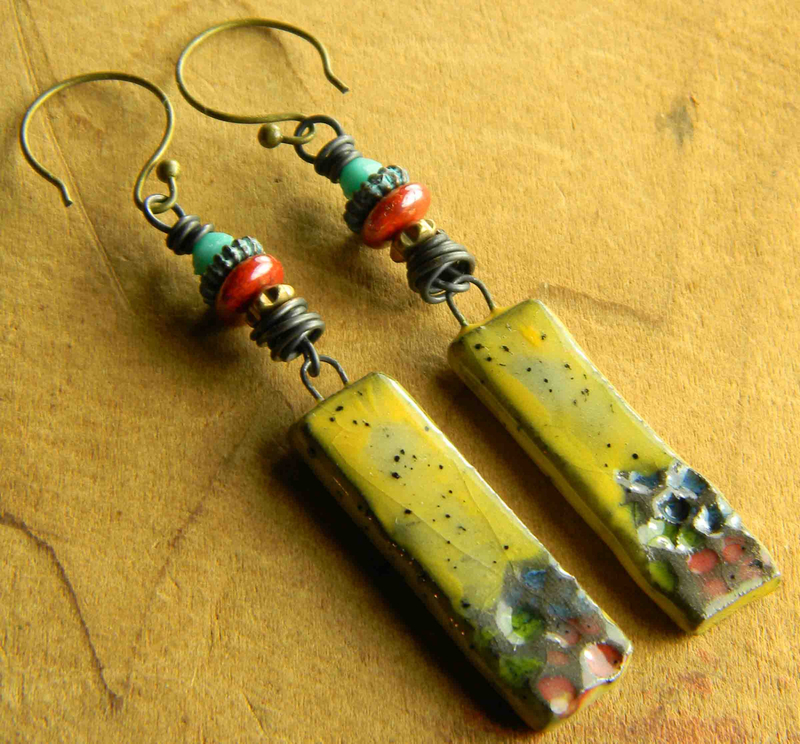 Ceramic drops must be thin to be practical for use in earrings, so exercise some caution as they are breakable (but not overly fragile). 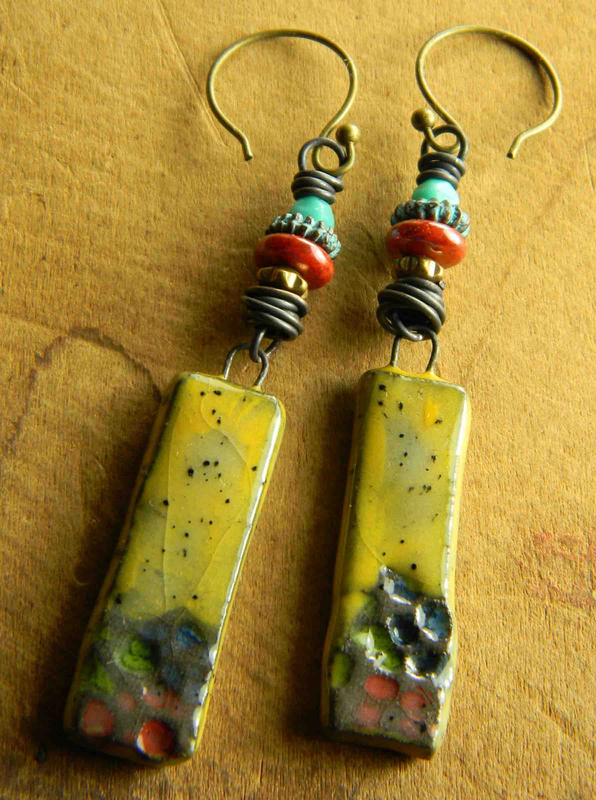 Your earrings will come gift wrapped in recycled and environmetally friendly materials. All my jewelry is 100% workmanship guaranteed. Any issues with construction or component failure within one year (under normal wear conditions) of the purchase date will be corrected at no charge to you. Take care not to wear while swimming or bathing. Please contact me if you have an issue with a purchase. I do not accept returns unless you have received a return merchandise authorization.